From Nosferatu to Buffy the Vampire Slayer, the stories of vampires are told over and over again. This trend doesn’t look like it will slow down anytime soon: on Wednesday, a rumor broke that It director Andy Muschietti is being considered to direct a prequel, Dracul, based on the legend of Dracula. But there wouldn’t be any Edwards, Spikes, or Bills without Europe’s original 19th-century vampire folklore, which a new Proceedings of the National Academy of Sciences study reports emerged because of a mysterious, real-life illness that makes people extremely pale and allergic to the sun. In the study, an international team of scientists identify the illness as erythropoietic protoporphyria (EEP), a type of blood disorder that affects the body’s ability to create heme, which allows hemoglobin to bind the iron that makes it red. People with EEP are chronically anemic, typically very pale, and have skin that’s so sensitive that extended time in the sunshine can cause blistering and disfiguration. In “ancient times,” the researchers explain, people with EPP probably could have treated their condition by “drinking animal blood and emerging only at night.” That’s not necessary today, as symptoms can be alleviated by getting blood transfusions with balanced heme levels and by staying inside. However, the main discovery in the new paper could change the way EPP is treated: The scientists found that a genetic mutation in the gene CLPX, which plays a role in mitochondrial protein folding, can cause EEP to develop. This particular mutation causes a compound called protoporphyrin IX to accumulate in the red blood cells, plasma, and liver, which stops their body from being able to produce heme. When it’s exposed to light, protoporphyrin IX also produces chemicals that damage cells, causing the swelling, burning and redness that people with EPP experience when they go out into the sun. The release of these chemicals can even be triggered by the little bit of ultraviolet light that filters down on a cloudy day, the researchers write. 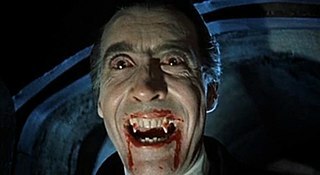 This mystery behind the origins of vampirism was solved when the researchers sequenced the genes of a family in Northern France diagnosed with EEP, which pointed at the previously unknown genetic signature. Because this mutation sheds light on the genetic network controlling heme metabolism, study co-author Dr. Barry Paw of the Dana-Farber/Boston Children’s Cancer and Blood Disorder Center is hopeful that his teams work will lead to the development of new therapies to help those with EPP. Luckily, the condition is very rare: It occurs in about 1 of every 74,3000 individuals and about 300 cases have been reported in medical literature. The onset of EPP can happen anywhere between infancy and adulthood.